Logos was an imprint of Gill & Macmillan which published books on theology, philosophy and sociology. Launched in the years following the Second Vatican Council, the cover art reflects the Church’s unlikely embracing of Modernism, particularly in architecture, during this period. With such obtuse titles as Morals, Law & Authority and Celibacy and Virginity the designer, Des Fitzgerald, has managed to do an admirable job. 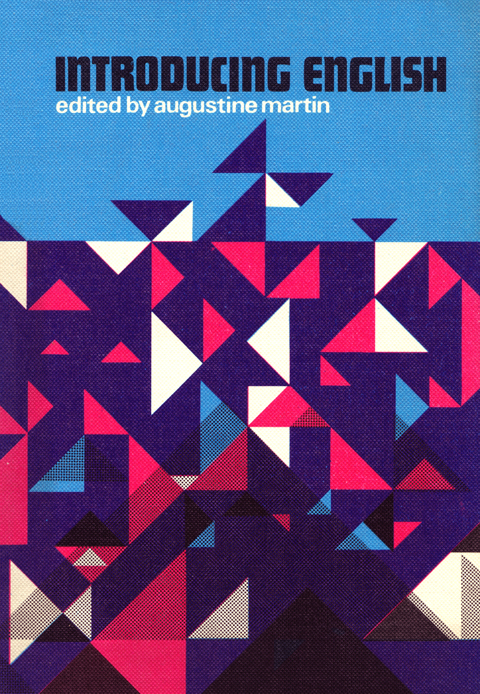 I can find no biographical information on Mr Fitzgerald but I can reveal that he is the (uncredited) designer behind one of the most well known Irish book covers of the last half century – Soundings – the school poetry anthology edited by Augustine Martin. I had hoped to include the Soundings cover with this post but haven’t been able to source a clean copy as it was invariably defaced by sullen students. The reissued version sports a cover by the very talented Graham Thew which plays on that very fact, adding the updated information as scrawls on the original cover. Thank you to everyone who came along to the Culture Night exhibition in Mary’s Abbey. It was a very enjoyable night in a wonderful historic setting. I was delighted to be asked by Ruth Kelly to take part in the event and it was great to share the evening with Donny Keane, whose ‘Life thru my Mobile Phone’ proved to be a personal and witty view of Dublin and beyond, and my brother Barry McCormack who finished the proceedings perfectly with song. The opening is on Wednesday 3 November from 6-8pm and all are welcome. Brian Lalor, printmaker and editor of The Encyclopedia of Ireland will open the exhibition. The exhibition will run from Thurs 4 – Wed 10 November inclusive and will be open daily from 11–5. Sponsors: The Netherlands Embassy, Gill & Macmillan and Hudson Killeen. Meet Christ and Live!, Michel Quoist, Gill & Macmillan (1972). Cover design by Cor Klaasen. Prayers of Life, Michel Quoist, Gill & Macmillan (1973). 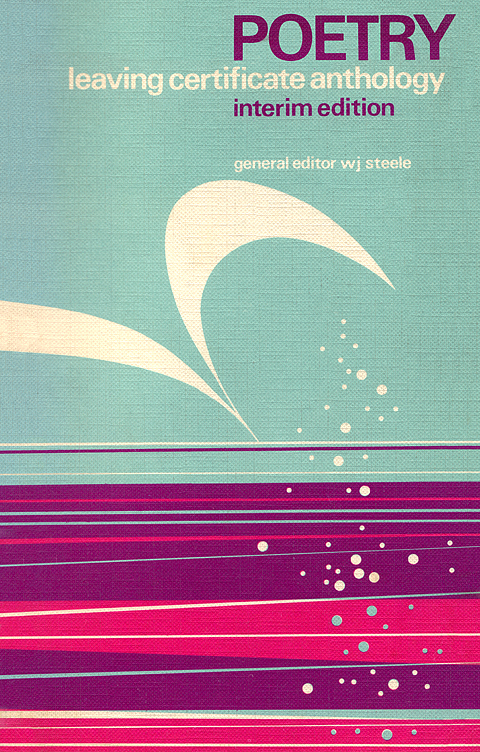 Cover design by Roísín Daly. Above are two of the most striking Irish book covers I’ve seen from the early seventies. Both are for religious books by French writer and priest Michel Quoist. 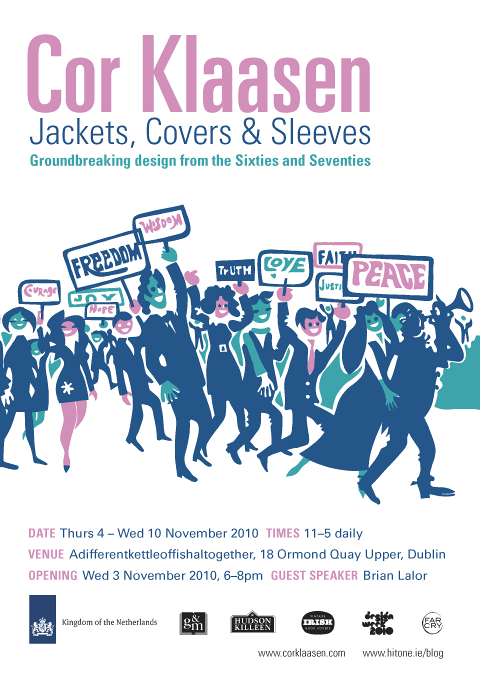 Cor Klaasen (1926-1989) was a Dutch designer who came to Ireland in 1956 after answering an advertisement placed by O’Kennedy Brindley in an Amsterdam newspaper. Holland’s loss was Ireland’s gain as Klaasen proved to be a very capable designer and later an enthusiastic educator. He designed many book covers for Folens, Gill & Macmillan and Helicon amongst others. Unfortunately, I haven’t managed to track down many examples, but it is nice to know that they are out there waiting to be unearthed. 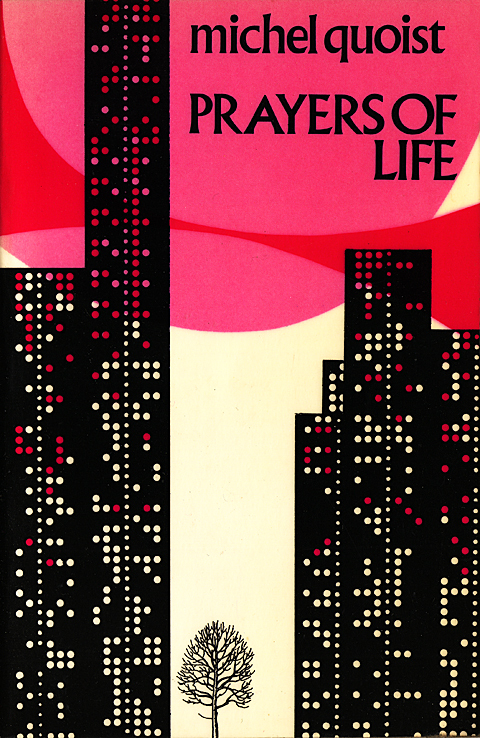 The elusive Roísín Daly’s design for Prayers of Life is every bit as strong as Klaasen’s cover. The computer punch tape makes a far better cityscape then it does storage medium – it takes about 10 metres of tape to store 4k of information. 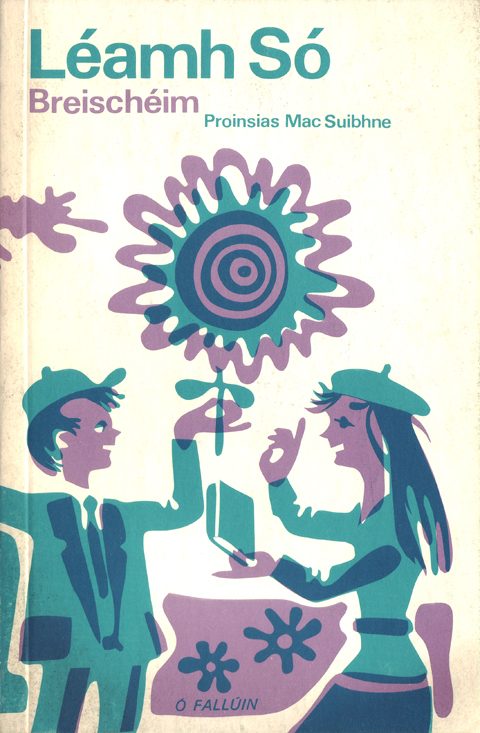 Daly also designed covers for Gill & Macmillan’s Logos imprint but beyond that I can find no information. Many thanks to Regan in the Winding Stair Bookshop for allowing me to mount the Vintage Irish Book Cover exhibition in the shop. The display is still in place for a short time if anyone still wishes to view it.